You can remember a loved one in our Light Up A Life Appeal. 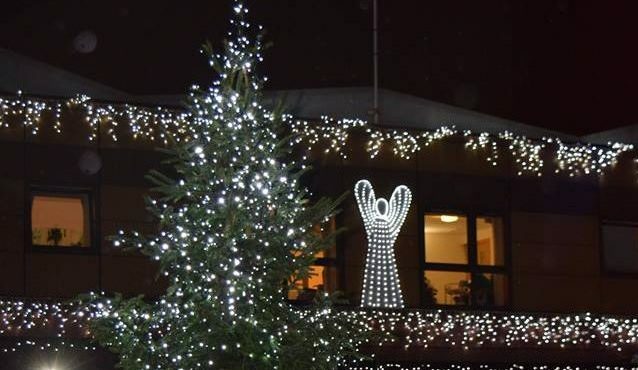 Those taking part can remember loved ones who have passed away by sponsoring a light on the Hospice Christmas tree. Participants will have a Christmas card sent to them or a chosen family member or friend, confirming that a light on the tree has been dedicated to their loved one, whose name will also appear on the card. The lights on the tree will remain lit continuously until Saturday, 6 January 2019. Donation forms can be collected from the Hospice or ordered by phoning 0141 952 1141. You can also donate to the Light Up A Life 2018 Appeal using the form below. Our Light Up A Life Service took place on Sunday, 2 December 2018 and the Appeal remains open throughout the festive period.